For use in any MRI environment up to 3T. 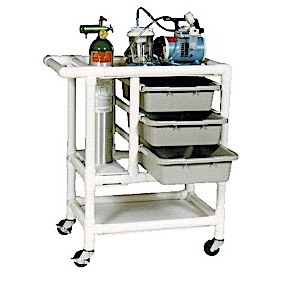 PVC cart has three drawers, lower shelf and oxygen compartment. MR Conditional to 3 Tesla.